Do Philippa's parents finally get to see the prenup the night before the wedding? Ange isn't convinced John is going to turn up to her wedding. 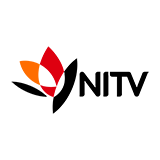 Bride & Prejudice: The Forbidden Weddings was broadcast on Seven at Monday 26 November 2018, 23:33. 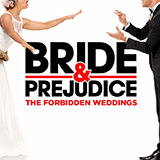 Bride & Prejudice: The Forbidden Weddings is a TV show on Australian national television from Seven with an average rating of 3.8 stars by TVCatchUpAustralia.com's visitors. We have 12 episodes of Bride & Prejudice: The Forbidden Weddings in our archive. The first episode of Bride & Prejudice: The Forbidden Weddings was broadcast in November, 2018. Did you miss an episode of Bride & Prejudice: The Forbidden Weddings but don't you wan't that to happen in the future? Please set an alarm and add Bride & Prejudice: The Forbidden Weddings to your favourites, so we can remind you by email when there's a new episode available to watch. Completely free: handy!